Imagine yourself lying in bed. You put your earphones and listen to tunes that relax you. The scent of Lavender fills the air from your diffuser. You all have the ingredients to make the night relaxing and make you forget about the day’s stress. However, as you twist, turn, and tumble in your bed, despite the fact that you’ve switched on your favourite designer lamp, you can’t seem to get the feeling that something’s missing – a dimmable light. You then ponder on the things that went throughout the day and stare at the ceiling. You want to close your eyes, but you don’t want total darkness. Then it dawns on you that “missing thing” that bothered you a while ago. It’s the light. The mood isn’t just right because of the light. You might try out candles but the smell of burnt wick doesn’t go with your diffuser, and you might set off smoke detectors in your room. What do you do in this case? Is it possible to tone down the lights without having to extinguish them entirely? The answers to those questions are: Get a dimmable light bulb, and yes you can tone it down. However, as the solution may sound easy, it certainly isn’t. Fortunately, this article will help you achieve that mood that you’ve been longing for all this time. When you want to dim down the lights, it’s a good idea to know the switches and types of bulbs that you’re going to use. First off, Dimmer switches are responsible for that dark surroundings, controlling the ambiance inside your room. As for the light bulbs, not all of them are compatible with dimmer switches. This compatibility is a problem for homeowners which can cause serious problems in the house. Dimmer switches work by controlling voltage. Therefore, it’s a good idea to make sure that both switches and bulbs are compatible. Here are some bulbs that work well with dimmer switches. These light bulbs work by running an electric current through a wire filament. The current warms the filament which then makes it glow, thus creating light. Incandescent light bulbs are the most dimmer-friendly bulbs as they tend to work well with any dimmer switch. When using incandescent bulbs make sure not to crank up the voltage too high, or the bulb will burn out more quickly, lessening the lifespan. However, incandescent light bulbs have been phased out since 2009 to save energy and combat global warming. So as of now and moving forward, you can’t use incandescent bulbs anymore. Halogen bulbs are just almost the same as incandescent bulbs because both produce illumination when a tungsten filament is sufficiently heated to produce light or “incandescence.” The only difference is the composition of the glass envelope and the gas inside the envelope. Halogen bulbs are perfectly dimmable and good when you want a strong daylight. However, it only lasts for 1000 to 2000 hours, depending on how much you switch it on/off. CFL or Compact fluorescent light is not good to use as dimmers. Adjusting a dimmer switch to a lower voltage while using a CFL, will shut it off completely. However, some CFLs are compatible with dimmer switches if they have a dimmable ballast. To find out if your CFL is compatible with a dimmer switch, locate the indicator that is usually on the packaging of the bulb. Always ask the retailer for instructions and other important details when buying a CFL as a dimmer. CFL technology has grown through the years. In fact, the latest dimmable CFL will effectively dim down to almost 15% of its light output. Not only do these modern CFLs work well with dimmer switches but they last longer than a traditional incandescent light bulb, which are excellent options for saving. Some of the most recent changes in the lighting industry revolve around LED’s or Light Emitting Diodes. Some LEDs are dimmable, some are not. But there are already a lot of improvements to this technology, that’s why it is now easy to find a suitable energy-efficient LED replacement to work with your dimming system. Most LEDs offer a rated life between 20,000 to 25,000 hours. 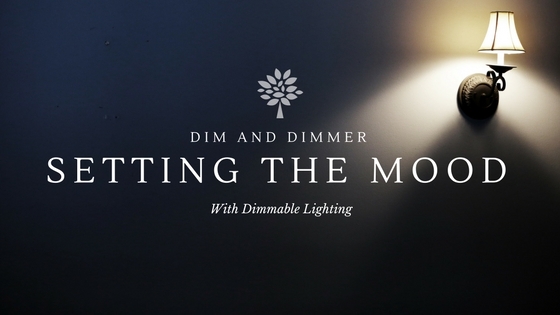 Dimmable LED bulbs provide smooth dimming from 100% to as low as 0.5%. However, this may differ between different type of dimming systems. When choosing LED bulbs, make sure that the packaging indicates that it is DIMMABLE. There are already a wide variety of bulbs available, so it’s essential to pick the right dimmer wisely because not all dimmers can’t control all kinds of bulbs. Pairing incompatible dimmers and bulbs may only result in lights fluttering and flickering, slow start-up, limited dimming range, and inconsistent illumination. To avoid these issues, it is necessary to know the different features of the types of dimmers to make sure that it is also compatible with the type of bulb you wish to use. Universal – Universal Dimmers made to control halogen, incandescent, dimmable CFL and dimmable LED bulbs. They provide smooth start-up, full-range dimming, and stop flickering and fluttering of lights. Halogen Dimmers – Halogen Dimmers made to control halogen bulbs, and it is also compatible with incandescent bulbs. It can’t control LED and CFL bulbs, as well as dimmable LED and CFL bulbs. Fluorescent – Fluorescent Dimmers only control fluorescent fixtures that include dimming ballasts and rapid start fluorescent lamps. ELV (Electronic Low Voltage) Dimmer – ELV Dimmers control ELV transformers as well as dimmable LED power supplies same as those used in LED stripes, under cabinet lighting, and ELV track lighting. For installation, ELV Dimmers need a neutral wire. MLV (Magnetic Low Voltage) Dimmer – MLV lights are larger and heavier that ELV. MLV Dimmers are applicable for recessed lights which are usually magnetic low voltage. When it comes to newer designed light bulbs, CFLs, and LEDs, fire concerns aren’t that high. Although advances in its makeup and technology ensure us of being hazard-free, it’s always good to know some practices that can keep us safe. There’s always a possibility of heating up or overloading a light bulb. When this situation happens, older light bulbs will inevitably cause fires. Usually, it’s not the bulbs that cause the actual fires, but broken wires may also play a part in this hazard. Always check your wirings to see if there are any damages or skinning to the wires. CFLs work primarily by running electricity through argon tubes with mercury vapor. Although CFLs don’t heat as much as Halogen or Incandescent light bulbs, any crack or leak with a CFL bulb is a potential hazard because of the toxic mercury contained within. Even though modern CFLs have less mercury in them, a person should never underestimate the toxicity of the chemicals inside. Halogen or Incandescent lights are the bulbs that generate the most heat, which is why they are good heat sources for poultry farms and other incubation-related tasks. When these get overloaded, these bulbs can cause damage such those of 1992 fire in Windsor Castle or in the 1995 Hendrix college fire which resulted from a halogen pole lamp. Check any faults in the wirings of your home. Rats and Mice might chew on wires which can cause devastating fires. Don’t enclose bulbs in a fixture. Enclosing bulbs prevent heat from dissipating properly, increasing the chance of overheating. Go for branded dimmers and bulbs to be sure of their quality. Make sure that your bulbs and dimmers are compatible. Incandescent and Halogen light bulbs work well with dimmer switches. However, due to many advances in lighting technology, CFLs and LEDs are catching up and do a good job, the same as incandescent light bulbs do. When getting bulbs for dimming, be sure that it’s compatible with your switches. Most likely there will be stickers on the packaging of bulbs that tell you their compatibility with dimmer switches. Now that you know the basics of dimmable lighting, it’s time to find your perfect designer lamps online at LampTwist, featuring stunning designs and styles from emerging brands like Tom Raffield.